Dreams of giant robots inspired by Neon Genesis Evangelion, Gundam, Pacific Rim, and Titanfall could become a reality if the MegaBots Kickstarter reaches its funding goal. It's only in movies, video games, and TV shows where we see pilots in giant robots shooting other robots down, knocking pieces off of each other. If a Kickstarter campaign proves successful, we'll see it in reality, too. 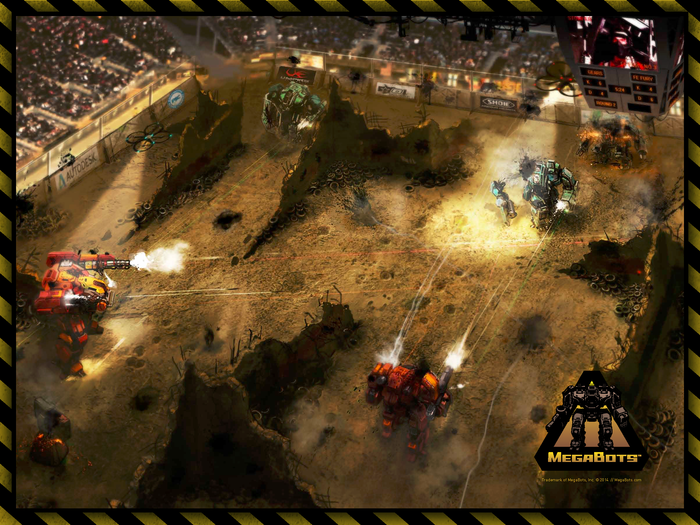 A group of scientists specializing in robotics and hydraulics are in the middle of a Kickstarter campaign for MegaBots: giant fighting robots. MegaBots is less Neon Genesis Evangelion (although Evangelion does take place in 2015!) and more G Gundam where this project involves a fighting arena, pitting robots against each other for spectators' enjoyment. The MegaBots team plans to build two robots to duel in a 1-on-1 tournament scheduled for May 2016 in the U.S. The MegaBots are 15 feet tall and weight 15,000 pounds, equipped with pneumatic cannons. Two people pilot one MegaBot as a driver and gunner team. 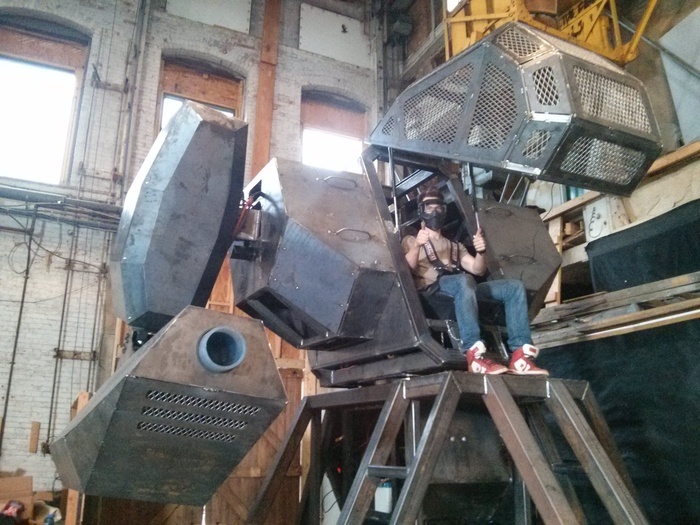 Over four months, the MegaBots developers completed a prototype of the upper body and weapon systems. "Making MegaBots a reality is absolutely possible," Matt Oehrlein, the roboticist responsible for the electronics of MegaBots, said. "The technology is here. These robots run on the same type of technology that powers giant construction equipment, so things like bulldozers and excavators. The difference here is that we have advanced control algorithms that let these things balance on two feet and remain upright and fight in combat." 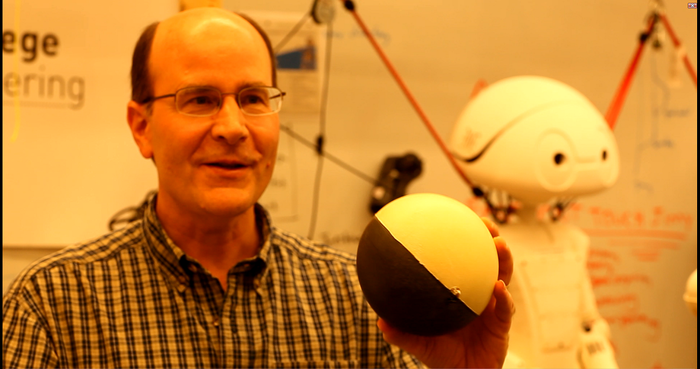 That balance is thanks to Andreas Hofmann, a humanoid controls engineer. Drawing from his Ph.D. thesis, "Robust Execution of Bipedal Walking Tasks From Biomechanical Principles," engineers have run simulations scaled up for the MegaBots exploring how the MegaBots will walk. MegaBots founders Oehrlein, Andrew Stroup, and Gui Cavalcanti hope to see their dream of a robo-league come to life. The team plans to rent a stadium and build two robots - additional robots if the project funding meets stretch goals - to fight. 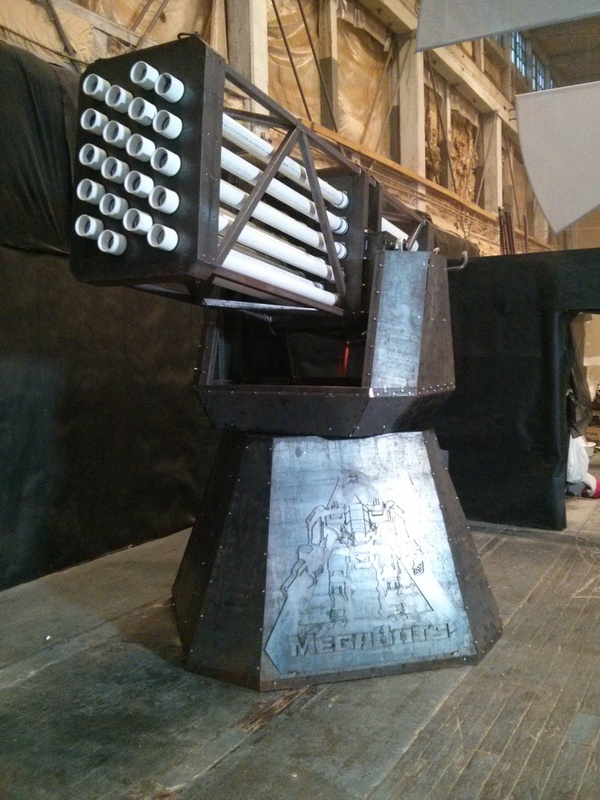 The robots fire paint-filled projectiles at 120 miles per hour, shattering armor plates. When a robot takes enough damage, its joints will seize and weapons will jam. MegaBots said pilots are safe and follow the same safety standards NASCAR uses. 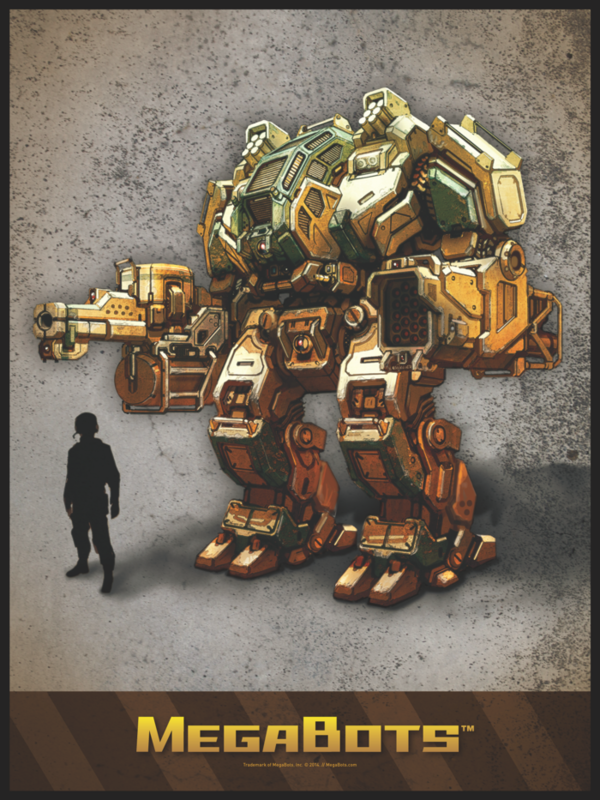 MegaBots' Kickstarter campaign ends on Nov. 28. The team is asking for $1.8 million.